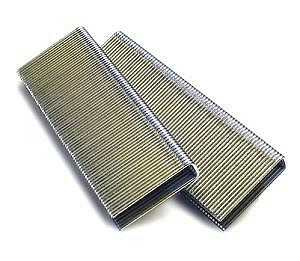 PRODUCT: N-19-SS Staples. 1-3/4" Leg, 7/16" Medium Crown, 16 Gauge, 304 Stainless Steel, Chisel Point. 8,000/Box. Price/Box. APPLICATIONS: Sheathing, Shake Roofing, Planter Boxes, etc.